This month we are celebrating Outlet’s 4th anniversary. 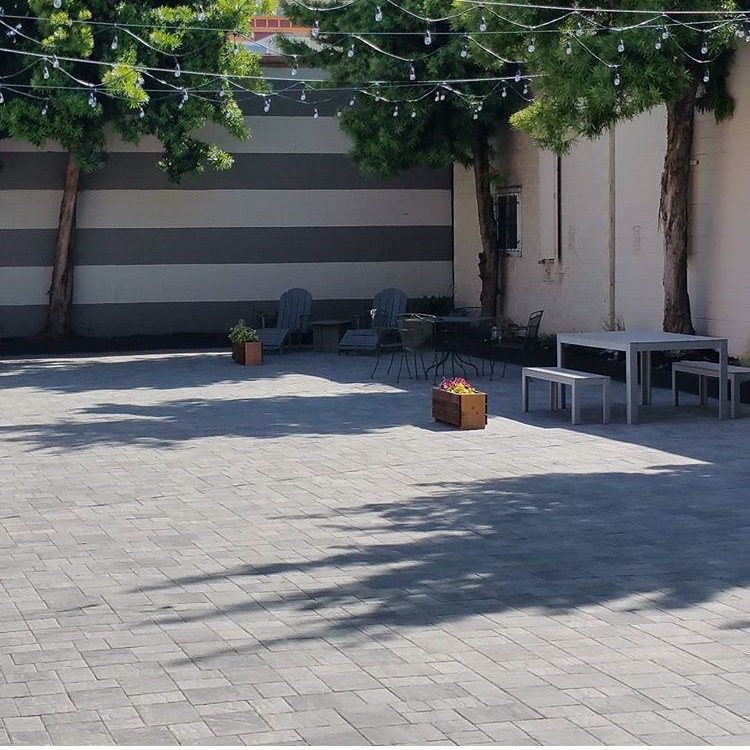 It has been our great pleasure to provide workspace for so many Sacramento small businesses, non-profits, artists, remote workers, independent contractors, and more over these last 4 years. In celebration of this milestone Carly, Travis, and I thought that we would share a little about ourselves, a history of the work we have done here at Outlet Coworking, and some things to look forward to in the future. We first started working towards opening Outlet in the summer of 2014. At that time I was a working for my small boutique film company, Plaid Zebra FIlms, and was looking for a new workspace to accommodate my four man crew. Travis was busy with his property management company and homebuilding projects and was looking for office space so that he could expand out of his home office. It made sense to us that we should get an office together to share the burden of rent and utilities while our businesses continued to grow. It was then that the leasing agent we were working with informed us of a large office building in Midtown that was about to go on the market. 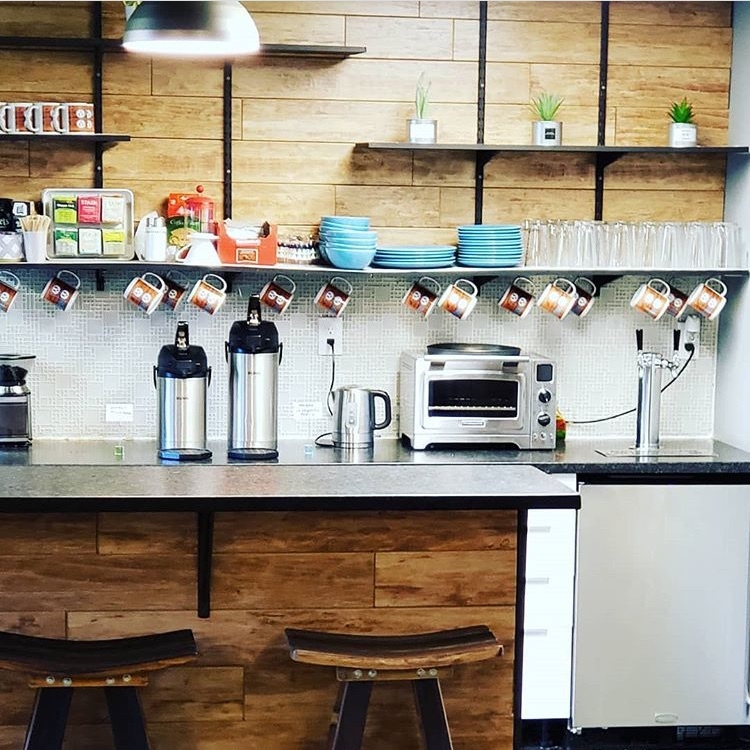 We were familiar with the concept of coworking spaces and thought that we could follow the example of the other great spaces already providing flexible workspace beneficial to entrepreneurs and independent contractors in Sacramento. Our newest conference room, Meeting Room 2. This room was designed by Travis after we received feedback that our conference rooms were becoming overbooked. From the beginning we wanted Outlet to be a family business deeply rooted in Sacramento. With that in mind we brought our sister, Carly, on as the Director of Operations and decided to use our personal savings as startup capital rather than looking for funding from organizations with interests elsewhere. We hit the ground running in the fall of 2014 with designing our tables and desks, even going as far as taking over the garage of our family home with staining and routing our large table tops, much to our mother’s chagrin. She only had to deal with our intrusion for a short time because we quickly moved into the building at 2110 K Street in December and spent the next 4 months remodeling the space and filling it with all of the bells and whistles we could think of. Then, in March of 2015 we celebrated opening for business with a grand opening party complete with a performance from the band that I was playing in at the time. The Outlet Courtyard. 21 pallets of pavers, 8 yards of road base, and 2 yards of sand were spread, tamped, and placed by hand during the construction. Over the next four years we learned that the work of building this place would never be done. We continued to improve and rebuild our facility, adding more and larger conference rooms, getting larger TVs, rewiring the network for faster speeds, and listening to recommendations from our members on where and what to improve. Our largest project would come in the spring of 2017 when we realized that the courtyard needed a major overhaul. Using the DIY skills that our father instilled in us growing up, we completely resurfaced the area with pavers that allow for better drainage and a more appealing look. My back still hurts when I think of the days I spent placing stones as the weather heated up that May. 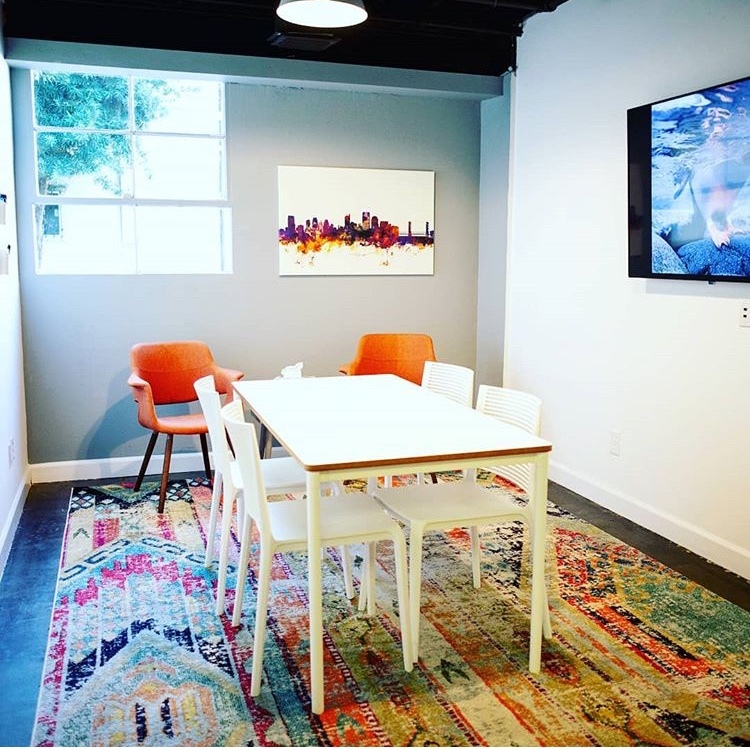 More recently we have been working to improve the aesthetic comfort of the space, adding a stylish new conference room, painting the stairwells and annex, and adding comfortable furniture to the back room. Changes are still coming as we intend to install a soundproof phone booth for our members to use for short calls or video conferences that don’t require a full conference room. That addition should be arriving in the next few months. New casual workspace added to the back coworking area. We wanted to add another place to work in a more comfortable enviroment. What started as a side project for us quickly turned into our passion. We have seen small businesses that joined us with a few employees grow from one office to two, to three, four, until they outgrew our space and purchased offices of their own. We have watched the success of our members as their organizations made a difference for students, fellow entrepreneurs, and the Sacramento community with their programs. We take great pride when members move on to bigger and better opportunities as they pass through our facility. They say that it is easy to sell when you believe in your product, and we truly believe that we provide a great service to our members here at Outlet. Thank you to all our current and past members for being a part of our community and allowing us to be a small part of your story. We hope to continue to serve you and others in the years to come.